TV: Uh, that would be a no. The final non-conference game of the season for The Citadel is a matchup with in-state foe Presbyterian, a traditional opponent from days gone by, but now back on the schedule for a second consecutive year after an absence of almost two decades. I wrote about the series history in my preview for last year’s contest, for anyone interested. 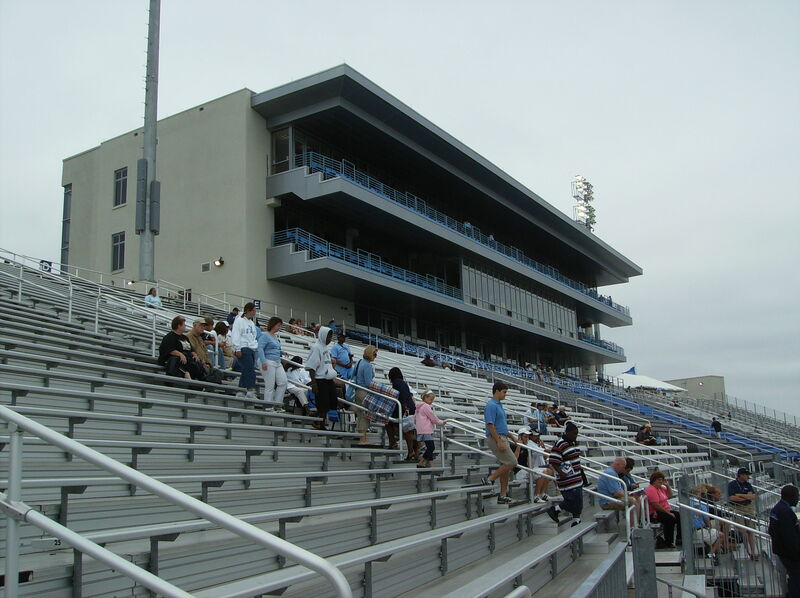 With the Bulldogs’ 46-21 victory in 2009, The Citadel now holds a commanding 49-11-1 lead in the series, including a 27-3 mark at Johnson Hagood Stadium, which has been the site for every game between The Citadel and PC since 1950 save one (a 1963 contest played in Savannah; I’m not sure why). 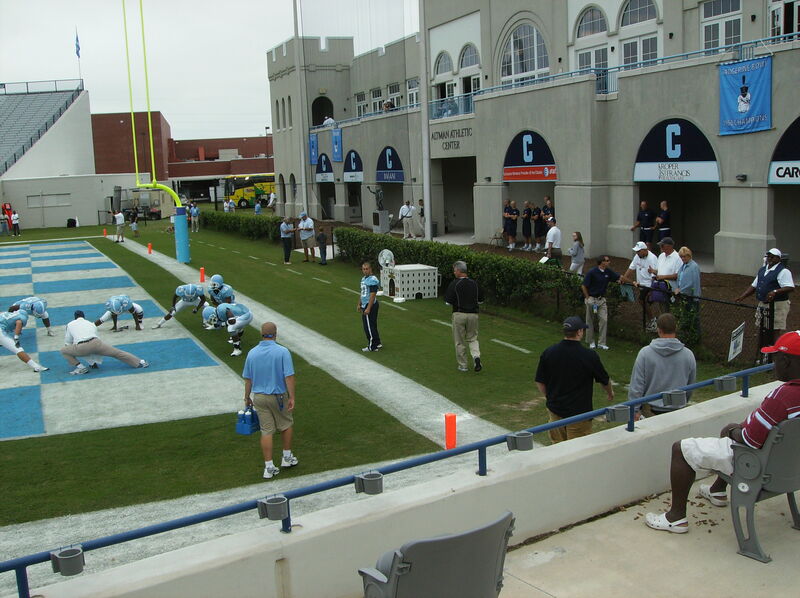 The Blue Hose last defeated the Bulldogs in 1979; since then, The Citadel has won eleven straight games in the series. Tangent: Last year’s preview includes links to some photos taken by Life magazine in 1955; a reporter for the weekly was on campus to write a story about Mark Clark’s new job as president of the school. He was joined by a staff photographer, who took a lot of photos of cadet life, including a series of shots of the Homecoming football game against PC (none of which were used in the article). I don’t have a copy of the issue (it’s from November 28 of that year), but from what I can tell, the actual feature on Clark is only about two pages in length. I’m amazed at how many photographs were taken for such a short piece. I’m glad they were taken, though; as a whole, they’re fascinating. If you want to surf Google’s archive for the 1955 Clark/The Citadel Life photos (albeit while wading through some pictures not related to the military college), go here. The road to FCS status has not been an easy one for the Blue Hose. As recently as 2005, Presbyterian won the (Division II) South Atlantic Conference with a 10-2 overall record, the first conference title for PC since winning the SAC in 1979 (coincidentally, the last time the Blue Hose beat the Bulldogs). However, as Presbyterian has made the transition from D-2 to FCS, the win-loss record has naturally declined, leading to last season’s 0-11 record. Those eleven losses included only one game in which PC lost by less than seven points, a 41-37 setback against Coastal Carolina in Conway, which is also the team/locale of the Blue Hose’s last road victory (in October of 2007). Presbyterian has lost 16 straight games overall, and has also lost 16 consecutive road games. PC opened the 2010 campaign with two “automatic” losses, to Wake Forest and Clemson, by a combined score of 111-34. Having noted all that recent gridiron misery for the Blue Hose, it would not be a shock if Presbyterian defeats The Citadel on Saturday. Disappointing, yes, and perhaps a bit surprising, but not a shock. Presbyterian hung around in last season’s game against the Bulldogs for the better part of three quarters, and now The Citadel will have to compete while continuing to work the kinks out of a brand-new offense that struggled at times against Chowan, to say nothing of Arizona. It’s exactly the kind of situation that would give a team like Presbyterian hope. After all, PC moved the ball on The Citadel’s defense last year, including 204 yards rushing. Trandon Dendy was responsible for 147 of those rushing yards, and he’s back this year. Joining him on the Blue Hose offense is Michael Ruff, who caught two touchdown passes last week against Clemson, and who also caught a TD pass on this much-seen trick play against Wake Forest. 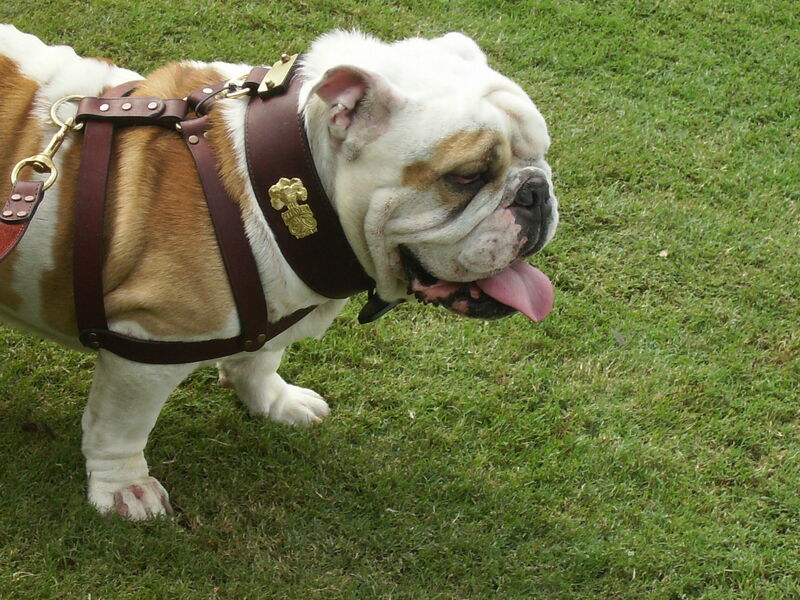 PC won’t be afraid to throw some more “trickeration” The Citadel’s way, so the Bulldog defense needs to be prepared. I do wonder if the Blue Hose might have been better off saving some of their best stuff for a more competitive game. The fake against Wake was a great play, but even with it PC still lost by 40. On the other hand, you’re probably not going to make SportsCenter if you run the play in an untelevised game. Last year I wrote that against Presbyterian, the defensive line was occasionally “pushed around by an offensive line that included a 258-lb. left tackle and a 240-lb. center.” That won’t happen this year…because PC’s offensive line is much heavier. The starting center for the Blue Hose weighs 260 lbs., and the left side of the o-line averages 297 lbs. So far, this year’s edition of The Citadel’s defensive front has shown a lot of potential. It better show more than potential this Saturday. The challenge for the Bulldog offense is to have the same type of production against PC it had last season, but without Andre Roberts. The Blue Hose had no answer for Roberts, who caught 12 passes for 184 yards and 4 TDs against Presbyterian. Andre won’t be in Charleston on Saturday; he’ll be in Atlanta, preparing to (hopefully) make his NFL debut with the Arizona Cardinals the next day. Which player will (or should) be running Saturday’s offensive attack has been a subject of interest. Kevin Higgins has announced that Matt Thompson will again get the call as the starter at QB, which I think is fine. Thompson did struggle against Arizona, but that was Arizona — he’s not the only guy who struggled. Sam Martin did do a fine job running the triple option when he entered the game in the third quarter, and should see his share of time too. Really, at this point it doesn’t matter much who starts. Both should play, both will probably get plenty of work, and in this transition season, anointing a permanent starting quarterback strikes me as probably a waste of time and possibly counter-productive. I was a little surprised that Game 1 starter Ben Dupree was so quickly moved to slotback, but I gather that the coaching staff wants him on the field, regardless of position. I also wouldn’t be all that surprised if Dupree is still in the mix at QB, even with the switch. Things on offense that must continue to improve include the perimeter blocking, the center-QB exchange (something that affected both Thompson and Martin, despite Martin not actually losing a fumble), the pitch plays (both QBs threw some scary pitches, especially Thompson, with one of his resulting in a lost fumble), and the pass catching. In this offense, you really can’t afford to drop passes, because there aren’t many reception opportunities as it is, and they tend to be big plays when successfully completed. I would like to see more “playmaking” from the back seven, particularly the linebackers. Other things that need to improve on defense include the tackling, which was better against Arizona but still not optimal (the Wildcats’ first TD came after Juron Criner gained an additional 20 yards following a missed tackle), and assignment pickups (with the DBs missing some reads against Chowan). – I noticed during the Arizona game that the coach who sends in the offensive signals on the sideline wears a red shirt, presumably to make him easier for the QBs to see. He was wearing a plain Nike shirt; given that The Citadel is trying to push “Big Red” apparel, maybe the coach could wear a Big Red polo shirt instead. Just a thought. 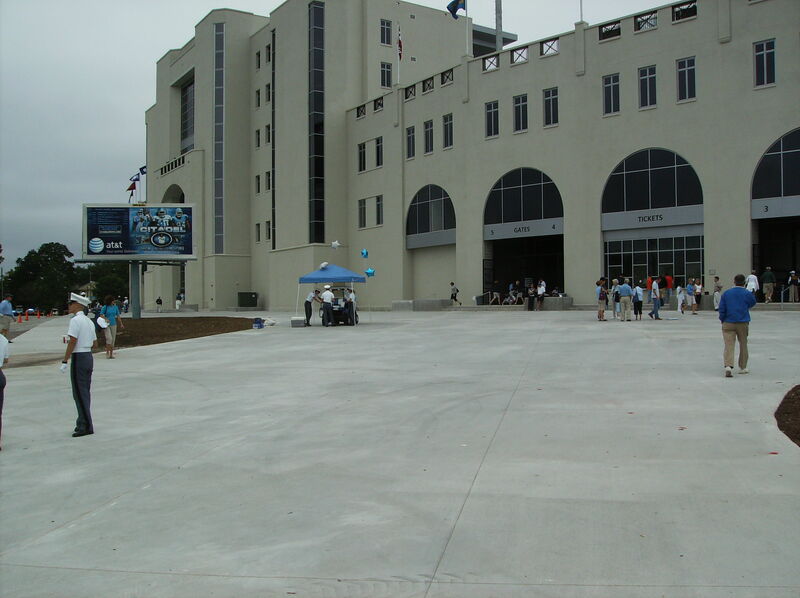 – Speaking of Big Red, The Citadel is going to have a “red out” at Homecoming. Now, Arizona is having a “red out” against Iowa this Saturday, which should go well, since red is one of Arizona’s colors and Iowa wears black and gold. I’m not necessarily criticizing The Citadel’s administration for the basic idea behind the “red out”, given the aforementioned push for Big Red, but as it happens the Bulldogs’ opponent for Homecoming is Elon. The primary school color for the Phoenix is…red. I don’t believe enough thought was put into that decision. There have already been complaints about the “look” of the new mascot, which has floppier ears than the old one, and of course does not wear the shako. I don’t know, but I wouldn’t be surprised if the shako may have been a bit problematic when it came to wear and tear. I don’t think the new mascot really looks like a rabbit, as was suggested in that thread I linked above, but I do think that if that’s going to be the new cartoon image, then The Citadel probably needs to adjust its mascot “mark” accordingly. It should be consistent. Of course, consistency has never been a hallmark of The Citadel’s logos/marks/branding history; it’s almost as bad as the school’s lack of stability in its football uniform history. 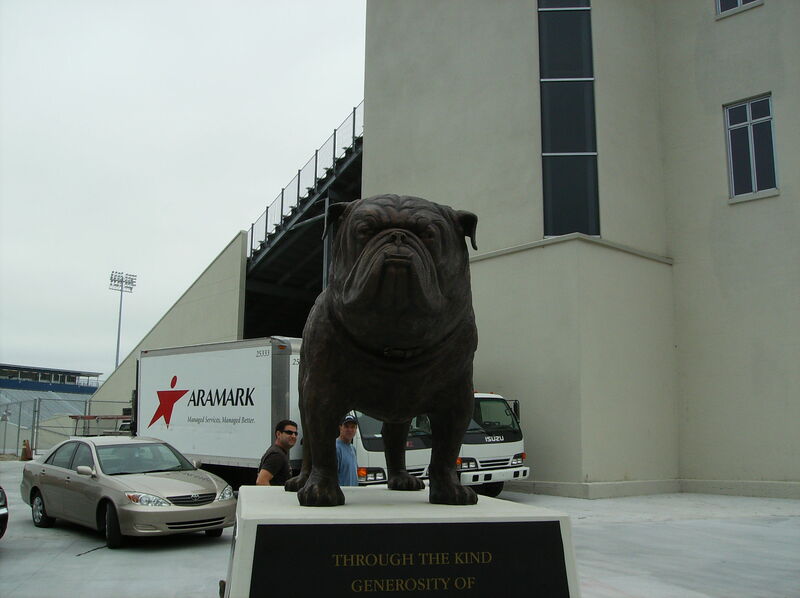 Ultimately, of course, my opinion about the new mascot doesn’t matter, and the same is true for any other alumnus. That’s because the cartoon mascot isn’t intended to entertain the alums; it’s there for their kids. If your typical five-year-old likes the mascot, then it’s good enough for The Citadel. Adults are supposed to be entertained by good cut-block technique and superior tailgating. Presbyterian will certainly be up for this game, as it represents a very real chance to break its long losing skid. If the Bulldogs were to lose to PC, it would be the beginning of a very long season. However, I am hopeful that the offense can generate enough points to avoid the upset, and I suspect the defense will be more than ready to assert itself. I’ll be very curious about the attendance, what with Clemson (on TV) and South Carolina (at home) playing at the same time as The Citadel. The weather should be more conducive to watching football than it was for Chowan, at least (please, no more 1 pm starts in early September).